Every 40 seconds, someone in the United States suffers a stroke, according to the latest data from the Centers for Disease Control and Prevention. 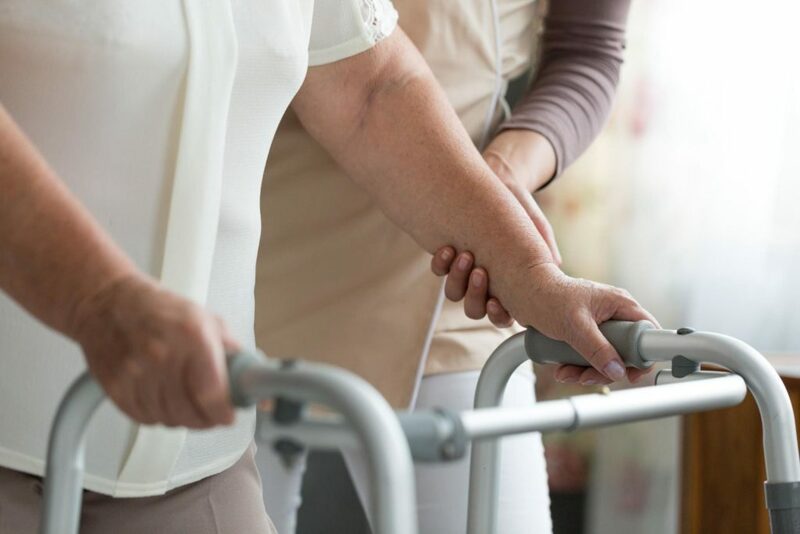 While some individuals may experience long-term motor deficits as a result of a stroke, it’s possible for stroke survivors to make a full recovery with immediate medical attention and an effective stroke rehabilitation program. A pontine cerebrovascular accident (also known as a pontine CVA or pontine stroke) is a type of ischemic stroke that affects the pons region of the brain stem. A pontine stroke can be particularly devastating and may lead to paralysis and the rare condition known as Locked-in Syndrome (LiS). Fortunately, it has been estimated that up to 80 percent of strokes are preventable. In this post, we will discuss the underlying anatomy of the brain stem, pontine stroke risk factors, and how to prevent a stroke naturally. What Is a Pontine Stroke, Brainstem Stroke, or Pontine CVA? What Are the Side Effects of a Pontine Stroke? A stroke affecting the brainstem can result in extensive loss of motor function and other deficits. A patient’s exact symptoms will vary depending on the severity of the pontine stroke, as well as its specific location. This is because cranial nerves serve different functions in different areas of the brain stem and within the pons itself. For example, a stroke on the back of the pons may lead to ataxia, a condition characterized by the loss of muscle coordination. Other common pontine stroke symptoms include double vision, vertigo, and dizziness. After a pontine stroke, some patients also experience difficulty swallowing, speech deficits, numbness, and even paralysis of one side of the body or both. In some instances, it is possible for a pontine stroke to lead to a rare neurological condition known as Locked-in Syndrome (LiS). Patients with LiS retain pre-stroke cognitive and vital functions but exhibit total or near-total body paralysis. So long as there is no damage to the midbrain, most LiS patients are able to control some eye movements. To correct stroke-related deficits, many stroke survivors will begin a personalized rehabilitation program, which may include medication, physical and occupational therapy to help regain motor functions. It may also be necessary to make adaptive changes to a person’s home and wardrobe to compensate for such deficits. Additionally, occupational therapy will help patients regain basic skills, such as getting dressed and cooking meals, which may have been lost as a result of stroke-related impairments. This post-stroke rehabilitation will begin just days after the stroke for medically stable patients. While these treatment programs may help many stroke survivors make a good recovery, some patients will experience long-term disabilities as a result of a stroke. For this reason, the ideal cure is prevention. Thankfully, there are plenty of easy ways individuals can reduce their pontine stroke risk moving forward. Strokes are the leading cause of long-term disability in the United States, and nearly 800,000 U.S individuals suffer a stroke every year. Fortunately, there are many basic lifestyle adjustments people can make to reduce their stroke risk. High blood pressure is one of the leading stroke risk factors, nearly quadrupling an individual’s lifetime chances of suffering a stroke. However, it’s possible to lower high blood pressure with a healthy diet. Minimizing salt intake, increasing daily servings of fruits and vegetables, and avoiding foods high in cholesterol are all effective ways of lowering blood pressure, and with it, an individual’s stroke risk. Exercise may also lower blood pressure and help people lose weight, another contributor to an increased risk of stroke. A fitness routine as minimal as 30 minutes of moderate intensity physical activity five days a week can have a major impact on a person’s overall health, and the Stroke Association estimates that a regular exercise regimen may decrease stroke risk by as much as 27 percent. To assist with healthy weight loss, it’s important to aim for a daily caloric intake ranging between 1,500 and 2,000 calories, depending on a person’s activity level and body mass index. It’s also imperative for individuals to moderate their alcohol intake and eliminate other unhealthy habits, such as cigarette smoking, as both of these contribute to an increased risk of stroke. Conditions such as atrial fibrillation, diabetes, or high blood pressure that have not responded to changes in diet and exercise may require drug intervention to reduce the risk of stroke. If you or a loved one are at risk of suffering a first stroke or an additional stroke, it’s never too late to positively impact your overall health with basic lifestyle adjustments. Take the leap and start living a healthier life today! Here at Saebo, we are committed to stroke support and recovery for all survivors and their families. Saebo offers a wide range of products that combine cutting-edge technology with evidence-based rehabilitation techniques. Our offerings and network of Saebo-trained therapists can help you or a loved one to obtain all the necessary tools to maximize stroke recovery.